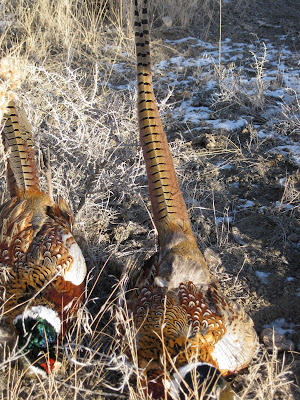 A memory from the 2009 pheasant season. The autumn season is progressing rapidly. While we had warm, sunny weather at the end of September, days keep getting shorter. A sure sign of changing seasons is the colorful autumn foliage, both in cities and the mountains and river bottoms. Quaking aspens, an icon of autumn in the Rocky Mountains, reached their peak last week, though there are still isolated clumps of aspens still holding on to their leaves, and some that are probably just changing colors. Aspens spread by cloning themselves and there’s no better indication of that than to look at a hillside this time of year and to see how clumps of aspen trees change colors. At any given time we might see aspens that are a bright yellow or orange, while other clumps of trees have shed their leaves and others are still green. Those clumps of aspens are made up of a number of trees but they’re still basically one big organism. They’re pretty amazing trees. If you’re thinking of a fall color tour I’d do it this weekend as the colors are probably past their peak in the mountains, while the cottonwood groves in the river areas are just approaching their peak. Either way, hopefully we’ll avoid that deep freeze cold front that robbed us of our fall colors last year when trees all over Montana froze their leaves before really changing color. This weekend is a big weekend for Montana hunters. 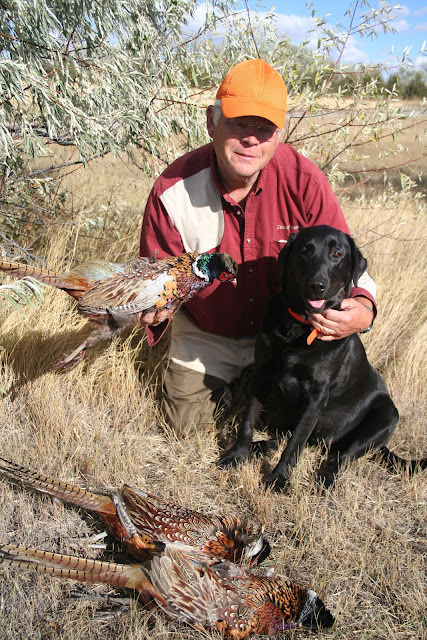 The pheasant season opens on Saturday, October 9. Some people get excited about elk and deer. It’s pheasants that pop up in my dreams this time of the fall. There’s something about the sight of a pheasant exploding from a patch of brush that never fails to stir my senses, and I hope it never does. While the pheasant isn’t native to North America, this import from China has certainly found a good home here in America’s heartland. They’re a bird at home in cornfields, wheat and barley stubble, wetlands, river bottoms and anywhere else they can find food and shelter. Pheasant hunting is always a challenge. Pheasants may have no more brains than a barnyard chicken, but these birds develop an acute sense for what’s going on in their neighborhood. Pheasants are seldom caught by surprise. It’s figuring out what they are going to do that makes them so fascinating. Some birds are expert at hiding, hoping hunters and other predators will walk by without finding them. Then other birds will simply bug out, either on foot or on wing, as soon as they sense unwelcome company. A good bird dog with a trained sense of smell is an invaluable partner when it comes to productive pheasant hunting. A good dog will find where birds are hiding and, almost more importantly, will find where a pheasant fell after a successful shot. A rooster pheasant is a gaudy, bright colored bird but it’s amazing how it can disappear into a little clump of grass or weeds. The pheasant season runs through New Year’s Day, so there will be many opportunities in the next couple months to chase these wonderful birds. The Montana pronghorn antelope season also opens on October 9 and runs through November 14. According to Montana Fish, Wildlife & Parks, Montana is second only to Wyoming in pronghorn populations, so if you needed another reason to be happy about living in Montana, there you are. While pronghorn populations are thriving in most of southwestern Montana, hunters heading for southeast Montana, usually a mecca for pronghorns, may have a little more challenge this year. Pronghorn populations are down after tough winters the last couple years. In the Miles City area, FWP estimates populations are down 37 percent from a couple years ago. Whether you’re looking for pheasants or pronghorn this weekend, keep in mind that it is always necessary to have permission to hunt private land in Montana. 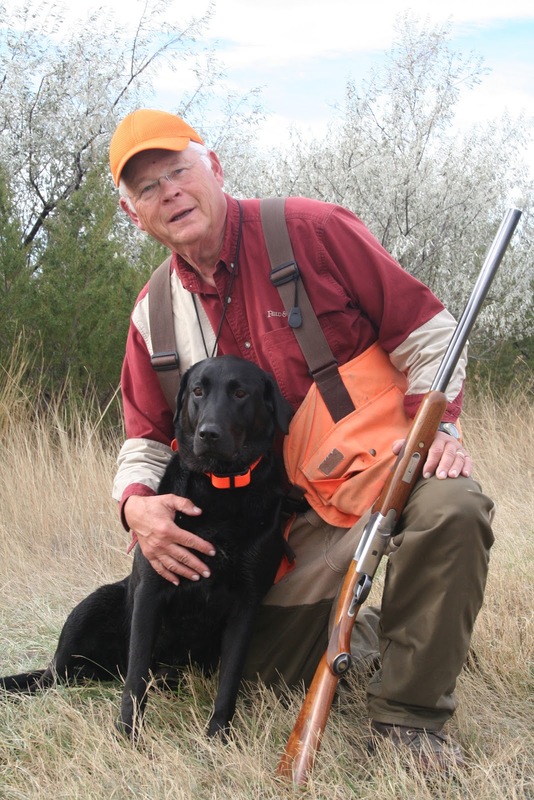 On the other hand, there are some 9 million acres of land open to hunters through the Block Management Program. Do your homework and you may find some hunting treasures in the Treasure State.